NAS systems are becoming more and more popular forDLNA use in homes and are not limited to a business environment any longer. As the price of hard drives is coming down and storage space is going up, there are many benefits of incorporating a NAS system set up at home. 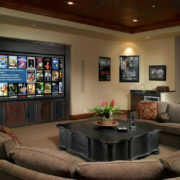 With the increase of several computers being used at home at any one time and not to forget things like TV’s, Blu-ray players, internet connection, home theatre systems as well as multi-room audio systems adding a NAS is just a natural progression. A NAS device is the perfect solution for data sharing and internet access within the home. Gone are the days where you stored all your files, music, movies and even photos on a computer, thumb drive or disc. If the computer gets a dangerous virus, and all the data is on the computer, and you did not back up your files (as we all usually don’t), you can say goodbye to everything. 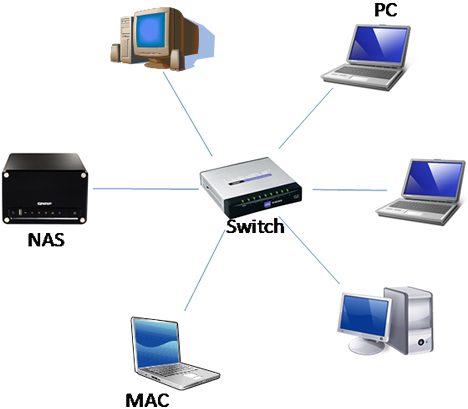 With a NAS device that is setup correctly, each person with a computer connected to the network will have access to the NAS with their own folder setup that only they can see, and these files can be password protected as well. It is also possible to play DVD’s and Blu-rays that are stored on a NAS directly to any TV that is connected to the network as well, so there is no need for a Blu-ray player anymore. 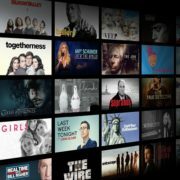 Playing multiple movies to the different television’s at the same time is also possible from a NAS device. If all the files are on a NAS it doesn’t matter about a new computer being added, just access all the files as normal as you won’t lose anything and nothing needs to be transferred over to the new computer only the software to run the files like MS-Word, Outlook etc. NAS systems can start from a few hundred dollars and go up to a few thousand, so it all depends on how much storage is required – will dictate how many hard drives you need for the storage required. If you are building a new house or renovating now is the best time to future proof your home. A NAS can be installed at any time in your home but if you are renovating or planning to build a new home it works out cheaper to do the work at this time as it is easier for the installer to run the cabling that is required. Installing cables is best for overall speed to all devices and although wireless is an option, it is not recommended as there are limitations in regards to the amount of bandwidth that will be available to each device. 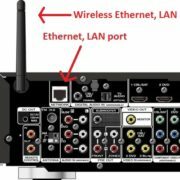 A wireless connection can easily degrade over distance and especially if your router is an older model, so you should only run wireless if there are no other options. Realistically wireless should only be used for emails and general web browsing. We’ve found this short video to illustrate the purpose of a NAS – the video is only 3.5 minutes long.